Madison implements our plans through our land use development process. The City's Zoning Ordinance establishes the permitted land uses, as well as design and development standards such as height and density. Wisconsin state law requires that zoning must be consistent with adopted plans. Many development proposals are permitted under the Zoning Ordinance. These permitted uses do not require any type of public review. In such instances, the property owner, developer or builder submits plans to the City. If the proposal complies with all applicable codes and ordinances, it may be approved administratively and construction may begin following the issuance of building permits. 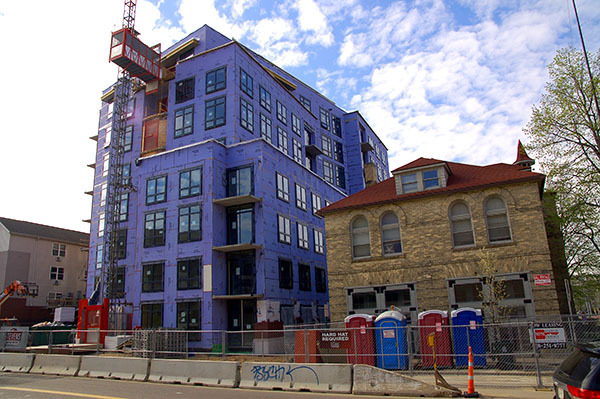 Other new developments in the City of Madison require approvals by City boards (i.e. Plan Commission, Urban Design Commission, Landmarks Commission) and/or the Common Council. Such proposals may include subdivisions, rezonings or conditional uses. Development proposals of this nature require consistency with adopted plans, review by several City departments, a public hearing, and involve neighborhood input. To determine what level of permitting and reviews a project needs, visit the City of Madison's Development Services Center. To view projects currently under review and in control of the Plan Commission, visit Current Projects. To view projects that have gone through the development review process, visit Approved Projects.